Spring is still a long ways off. For many of us, that means wintering in an RV resort down south. But it’s not too early to buy RV parts and start planning our summer road trips. America is full of historic landmarks, great cities, and beautiful natural landscapes. Why not start planning for Spring now? In Part I of the Ultimate RV Road Trip On A Budget, we’ll lay out a great East Coast trip which you can take along I-95 North. We’ll start in Florida and end in Boston, but you can pick this route up anywhere along 95, and you can go either direction. Along the way, we’ll show you some of the top attractions near each stop. We’ll keep the expensive entertainment to a minimum and show as many off-the-beaten track options as we can. Of course, we could never tell you every great place to check out—so use this article as a starting point, and research attractions to find those that will be most interesting to your family. We’ve included a mix of locations. Some are big-deal, famous things. Others are off the beaten track, where you can enjoy some natural beauty. This is an especially great trip for RVers with kids, newly retired fulltimers who haven’t seen these great places yet—or anyone who’s ready to hit the road! Image courtesy of Phillip Pessar. Licensed under Creative Commons 2.0. South Beach is famous for its Art Deco district, and for actual South Beach, a beautiful stretch of Atlantic coast that is open to swimming. You can access the beach through Lummus Park. This is the real South Beach—the one you’ve seen in TV and the movies! 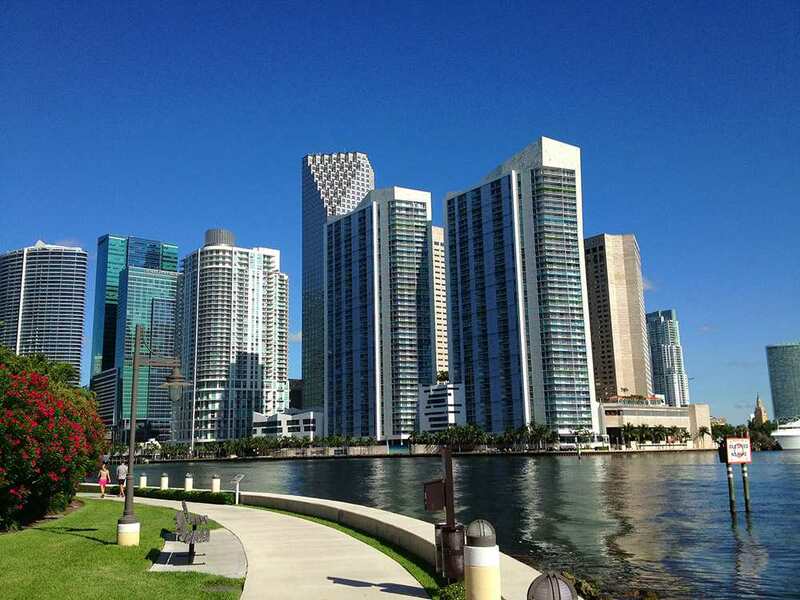 For mountain bike enthusiasts, this is a great place to escape the bustle of Miami. The system of trails includes beginner, intermediate, and advanced difficulty trails, as well as a family loop road. The park is family friendly. Trails are one way, offering a safe way to enjoy your bike and the natural environment. See the Virginia Key website for more info. This beautiful RV resort is right off 95 in Fort Lauderdale, only 30 minutes north of Miami. They offer 250 waterfront paved RV sites, full hookups, and patios. See the Yacht Haven website for more info. Image courtesy of Ricardo Mangual. Licensed under Creative Commons 2.0. Pretty obvious, huh? If you’re in Daytona Beach, you should catch a race at this fantastic location. Check out the Daytona International Speedway calendar to plan your stop. Cost: Depends on event; see website. Go karts, roller coasters, Tilt-A-Whirl—Boardwalk Amusements has it all! Even better, everything is located along the historic Daytona Boardwalk. What’s not to love? Right off 95 and less than 2 miles from the Speedway, this is the perfect location and perfect RV resort for your stay. Check out the International RV Park Campground website for more information. Image courtesy of Ken Lund. Licensed under Creative Commons 2.0 SA. The city is famous for its 22 squares, which are essentially small city parks. Most squares are named after a famous person. They offer a beautiful place to walk or just sit in the shade and enjoy a nice day. Savannah’s growing brewery scene features some amazing locations to check out. Check out Coastal Empire Beer Company for starters and enjoy this brewery’s unique, original creations. Red Gate calls itself “the closest RV park to historic Savannah, GA.” This is the perfect location to park your rig. 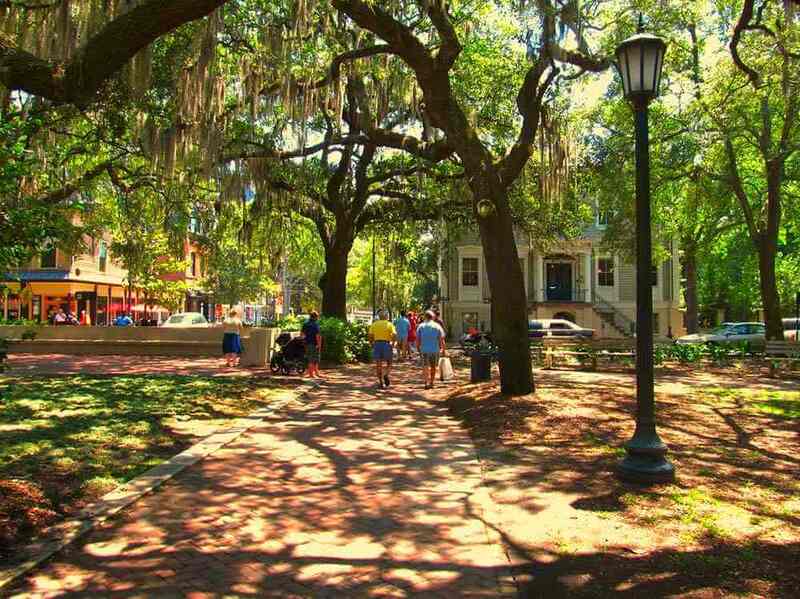 Downtown Savannah is only 15 minutes away. Check out the Red Gate Campground website for more information. 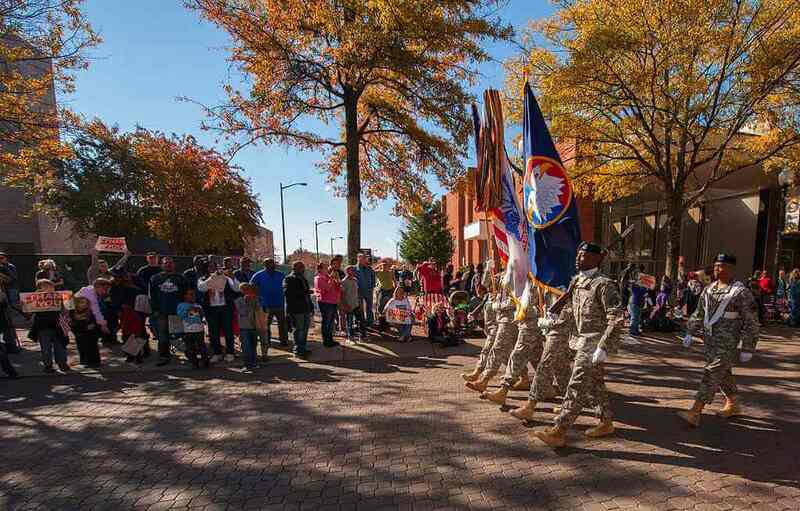 This museum offers an immersive look at the history of US Airborne and Special Operations forces. Admission is free, though donations are accepted. In particular, you should check out the Pritzker Motion Simulator, which gives you a taste of what the Army’s greatest airborne warriors experience. Don’t miss it! Cost: FREE, donations accepted. Flight simulator ticket costs are here. Enjoy 5 miles of paved trail that’s perfect for hiking, biking, and walking. Wildlife abounds here, and you’ll enjoy scenic views of the woods and Cape Fear River. More information at Trail Link. This beautiful RV resort offers full-hookup sites, 50/30 amp electrical, plus cable TV. Fayetteville RV Resort is rated 10/10*/10 on Good Sam. We think that says it all! Book at the Fayetteville RV Resort website. Image courtesy of Taber Andrew Bain. Licensed under Creative Commons 2.0. 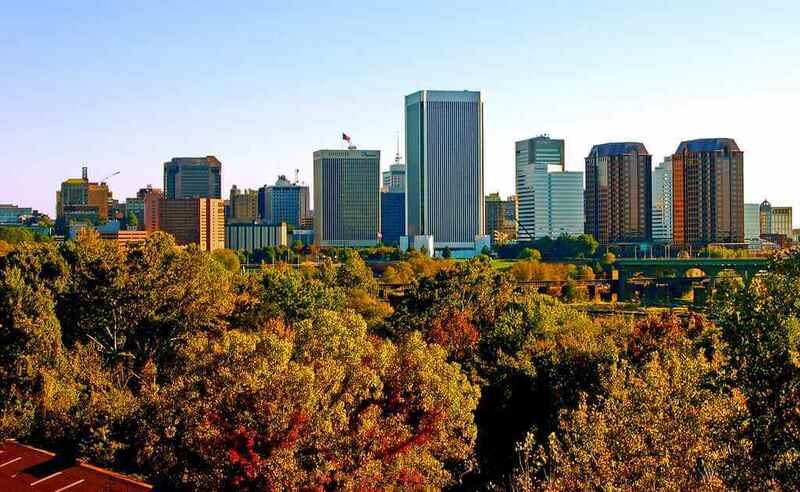 Richmond is one of the hottest culinary destinations in the country right now. For the foodies among us, that means tons of great options in exciting, creative local cuisine. Check out the list at Visit Richmond. Cost: Contact restaurant of your choice. What’s that come knocking on the RV door? An invitation to the Edgar Allen Poe Museum! The great American writer was born in Richmond, and the museum beautifully preserves his legacy. Located right off I-95, Americamps RV Resort is perfect for your East Coast road trip. It features 198 RV sites with full hookups as well as super sites with concrete pads, plus free wi-fi, cable TV, and a fitness center. Even better: Center of the Universe Brewing Company is basically a stone’s throw away! Image courtesy of Richard Ricciardi. Licensed under Creative Commons 2.0 ND. THE OBVIOUS: See the Monuments! Touring the monuments is a fantastic experience, whether you’ve been to D.C. before or not. Just remember—the other monuments are always farther away than they look. Bring lots of water and snacks, wear comfortable walking shoes, and dress for the weather. Did you know that Julia Child was a spy (sort of) before she taught everyone how to cook? This amazing story, and many more, are on display at the International Spy Museum. Be sure and get your tickets in advance. 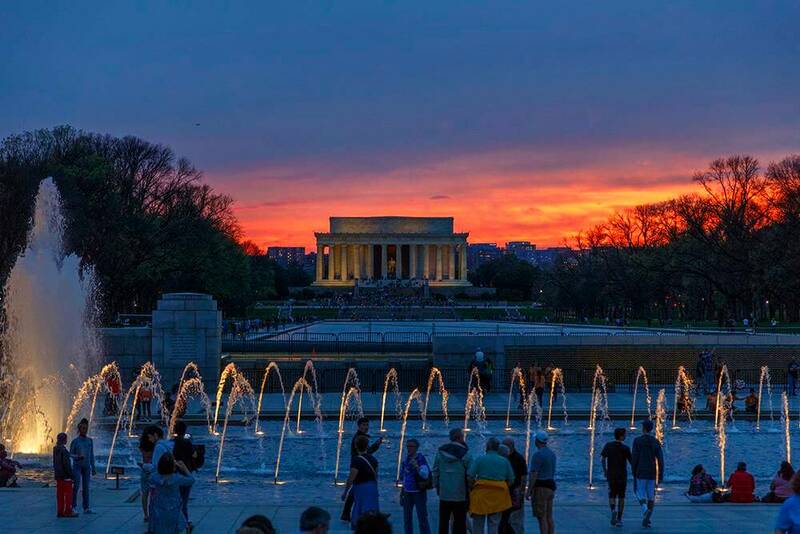 Only 15 miles from the US Capitol, Cherry Hill Park is the perfect RV resort for your stop in Washington, D.C. With public transportation and tour shuttles leaving Cherry Hill several times a day, you can park the RV and avoid driving in traffic around D.C. Image courtesy of Steve. Licensed under Creative Commons 2.0. 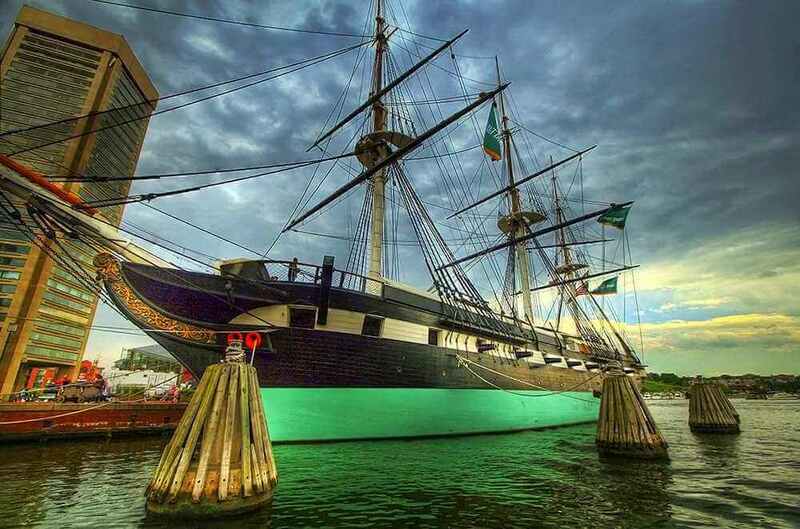 Baltimore Harbor is home to several historic ships, including the USS Constellation, pictured above. This is a great experience for kids and adults alike. You can purchase tickets for a single ship, for two ships, or for four ships. See the Historic Ships website for more info. Founded in 1914, the Baltimore Museum of Art now holds over 1,000 works by renowned artist Henri Matisse. The museum’s historic building was designed by John Russell Pope and holds over 95,000 artworks in total. Get more information on the Baltimore Museum of Art website. This is the same RV resort which we recommend for your D.C. visit. Baltimore and D.C. are plenty close, so you can easily hit both locations from Cherry Hill. See the D.C. entry above (number 6) for more information. Image courtesy of Boston Public Library. Licensed under Creative Commons 2.0. The American Helicopter Museum preserves the history of rotary-wing aviation through air shows, exhibits, public education, and more. Featured aircraft include the Bell 47H, Boeing CH-46E, and many more. See the American Helicopter Museum website for details. Fort Christina marks the site of the first Swedish and Finnish settlement in what would eventually become Delaware. This is a beautiful site in the larger First State National Historical Park. See the website for more information. 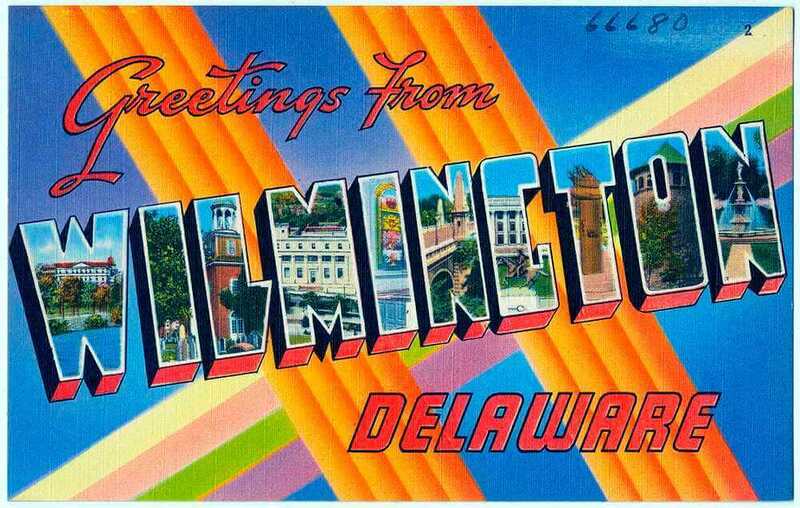 Delaware doesn’t offer much in RV camping along I-95. 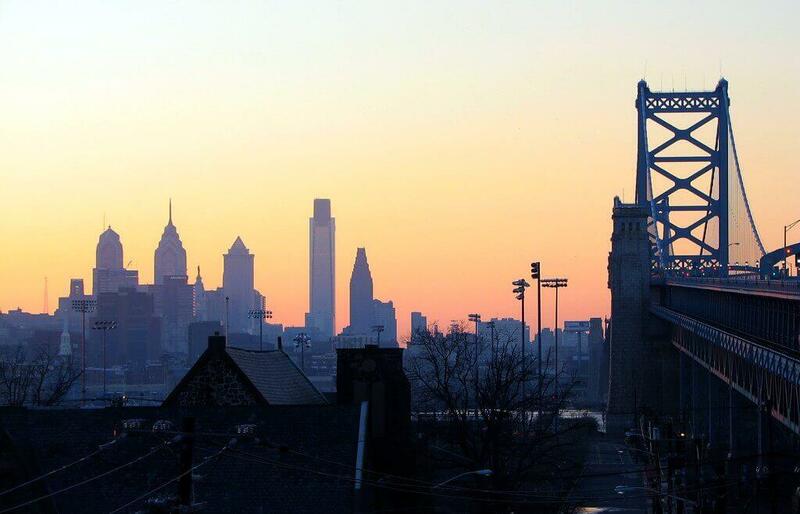 We recommend driving on to Philadelphia. Independence Hall, where the Declaration of Independence and the Constitution were adopted, is right across the street from the Liberty Bell. These are both located in Independence National Historical Park, which also contains other historical buildings. You’ll need timed tickets for Independence Hall (unless you’re going in January or February). There are no tickets required to see the Liberty Bell, though you will have to go through a security screening—so bring only small bags to make that easier. Once completed, the impressive Schuylkill River Trail will run from Philadelphia to Pottsville. Many sections are already completed. From Philadelphia, you can walk or bike the trail to Parkerford, a distance of 30+ miles. This isn’t your typical RV campground. It’s an urban location, basically an RV parking facility with a 24 hour shuttle that takes you to the Philadelphia public transit system. Campus Park and Ride has restrooms, showers, water, 20/30/50 amp electric, wifi, and a dump station. It’s perfect for your Philadelphia stop. Image courtesy of Anthony Quintano. Licensed under Creative Commons 2.0. Take the ferry over to Ellis Island and enjoy this historic national treasure! Be sure to make reservations in advance, as recommended by the National Park Service. Pictures and movies don’t really show you how big Central Park is. You could easily spend all day exploring it. If biking is more your style, you can rent a bikes at several businesses near the southern end of the park. Grab some lunch at a Halal food truck for the authentic New York experience. 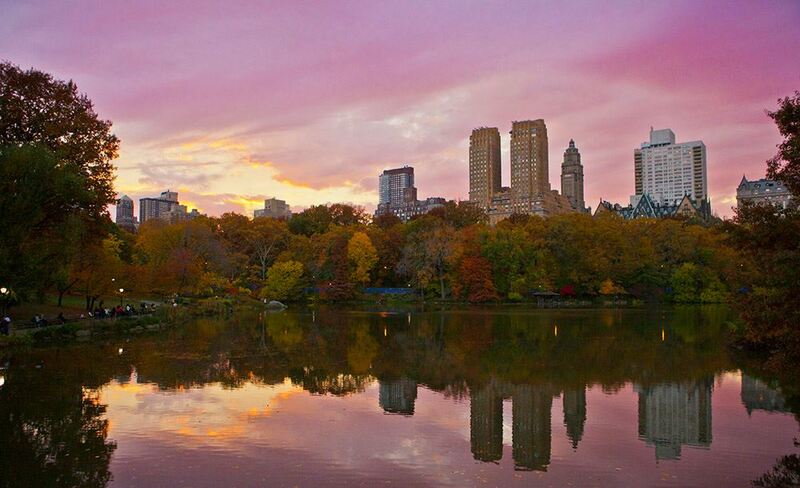 Liberty Harbor RV calls themselves “the closest RV park to New York City.” With competitive rates and a bus tour that leaves right from the front door, it’s the perfect location for your budget expedition into New York City. Image: Above Beardsley Park, Bridgeport, Connecticut. By Levi Wells Prentice (public domain). The Discovery Museum offers hands-on experiences in science, technology, engineering, and mathematics. This is a great place for kids and adults to explore. More information at the Discovery Museum and Planetarium website. American businessman and circus founder P. T. Barnum had a long relationship with Bridgeport, CT. The city has a wonderful museum dedicated to him. More information here. There aren’t a lot of RV parks along this stretch of I-95. Totoket Valley RV Park offers a great location with water and septic, 20/30/50 amp electric, coin laundry, and wifi and cable. There are only 15 full hookup sites, so make your reservations in advance. Image courtesy of Liz West. Licensed under Creative Commons 2.0. 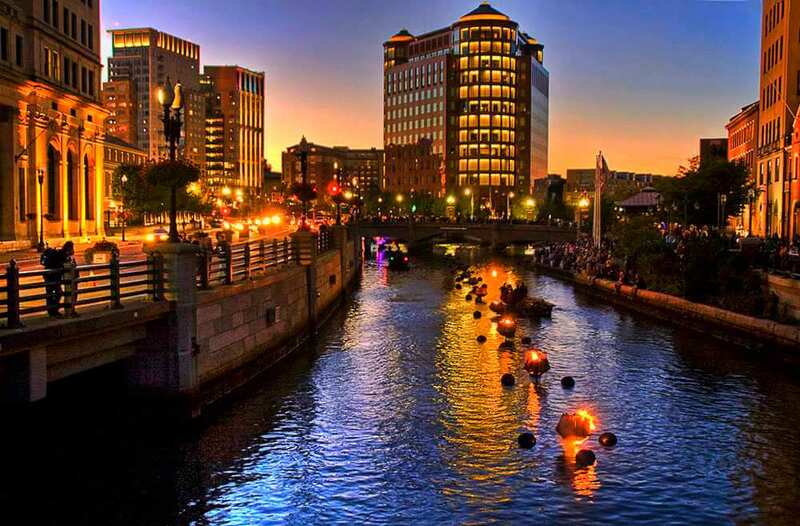 WaterFire is a highly acclaimed outdoor sculpture by Barnaby Evans. The sculpture’s 100 bonfires are lit around sundown, filling the air with the fragrance of wood fire. This communal experience is quite popular, so arrive early to get a good spot. This beautiful park preserves the flora, fauna, rocks, and forests of Neutaconkanut Hill. There are recreational areas at ground level, including a ball field, and hiking trails to let you enjoy the natural environment. More information at the Neutaconkanut Hill Conversvancy website. Head north on I-95 into Massachusetts and stop at this beautiful RV resort, only 30 minutes north of Providence. You’ll enjoy a bike park, fitness center, disc golf, dog park, laundry, and much more. See the Normandy Farms website for more information. Image courtesy of Katie Haugland Bowen. Licensed under Creative Commons 2.0. Numerous founding fathers are buried in this cemetery, which dates to 1660. The cemetery lies along the Freedom Trail, a 2.5-mile walking route that takes you past a wide variety of historic sites. 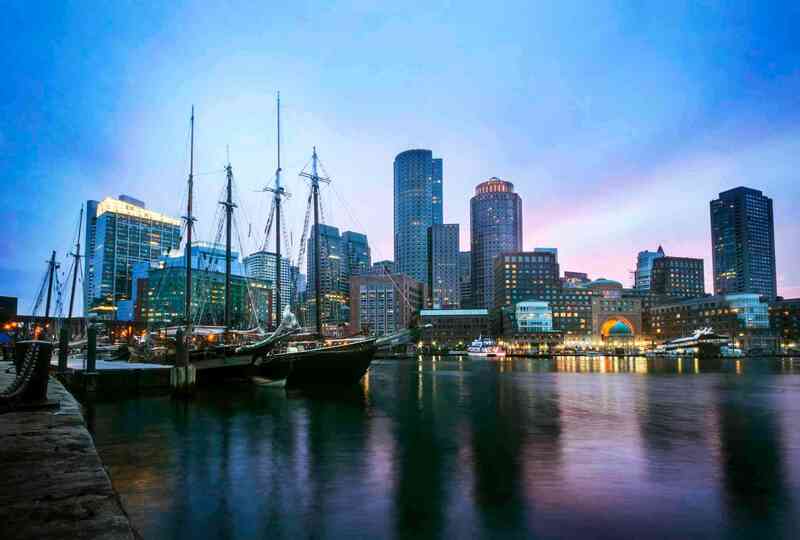 Even better—schedule a walking tour, and you’ll be guided by Freedom Trail tour guides in period-accurate costumes. Cost: Trail and cemetery are FREE; scheduled walking tours incur a fee. Boston Public Garden is the oldest botanical garden in the US. This beautiful park offers sculpted lawns, a quiet lake, and many walking paths. This is a great place to spend an afternoon. Boston Minuteman Campground offers a pool, playground, and volleyball court, as well as 30/50 amp service and full RV hookups. Air conditioned and heated restrooms, with hot showers, are never far away. 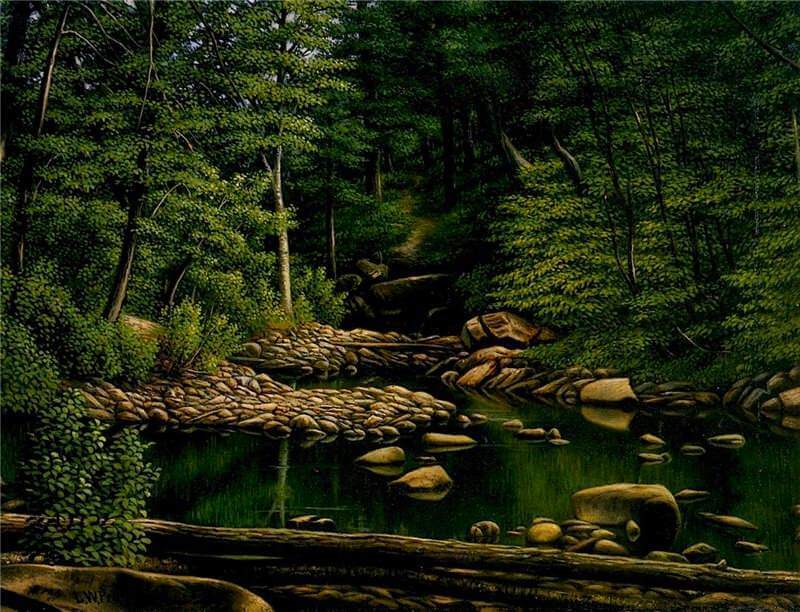 This is a great place to park the RV, kick back, and relax just outside of Boston. Connie is a semi-retired camping enthusiast who is just getting into the RV lifestyle. She has written blogs in several places online and hopes to hit the road full time soon. You can see her posts at http://mobilehomepartsstore.com/latestnews/.